In this occasion, the project was evaluated by the officer Ms. Tanya Nikolova and two independent experts, the Dr. Pascal Aubry and the Dr. Evren Yasa, and has successfully passed the review. The COMBILASER consortium during the meeting in Hannover. For the review, the consortium has made a presentation of the progress achieved in all the relevant work packages and the partners have shown the development on the main parts of the COMBILASER solution such as a monitoring system, a non-destructive testing (NDT) system and the main one, the Self-learning system (SLS). The most important part of the project review was the presentation of the COMBILASER solution working real-time in the LZH labs on the Hidria industrial-use case that was working without any problems. Now, the consortium is ready to implement the set-ups for all three industrial use-cases (Hidria, Orkli and TMCOMAS) at their facilities, and after the installation, a validation process shall follow whereby the viability of the final solution shall be assessed. 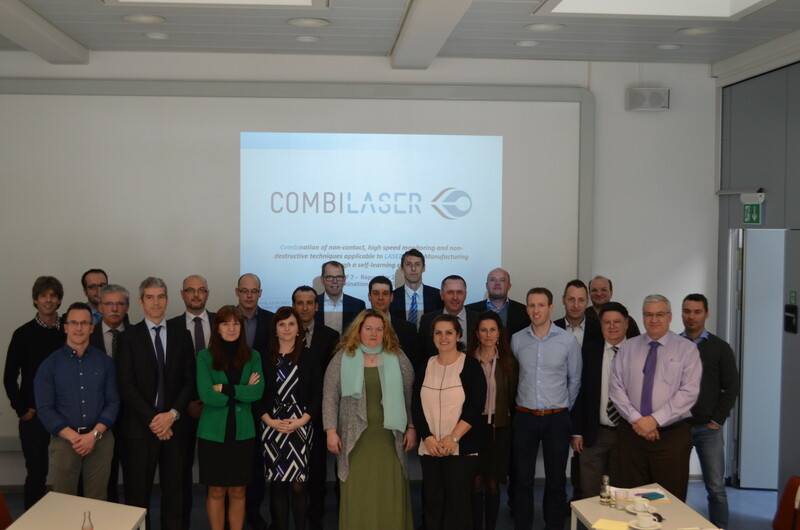 The COMBILASER Project was funded by the European Commission under the new Horizon 2020 research program and aims to develop advanced techniques of laser welding and laser cladding to bring them to availability of different areas of the European industry. Furthermore, the COMBILASER project contributes to the development of new technologies that will be integrated into a future in many European industries, helping to increase their global competitiveness and thereby contributing to economic growth and better social cohesion in Europe. The consortium brings together 12 partners from 7 different countries. The partners are: HIDRIA AET (SLO), IK4 – LORTEK (ESP), LASER ZENTRUM HANNOVER (GER), RECENDT (AUT), UNIVERSITY OF SHEFFIELD (UK), LASERLINE (GER), ORKLI (ESP), TMCOMAS (ESP), MONDRAGON ASSEMBLY (FR), 4D GMBH (GER), CAVITAR (FIN) and SiEVA (SLO). * (This project has received funding from the European Union’s Horizon 2020 research and innovation program under grant agreement No 636902.